"Simply put, we do not have computer problems! IT Professional Services has worked with us for over 10 years. We have 2 separate offices and ITPS manages the computer systems and network for both of them. They do what it takes to keep us going. I know that Darryl is in here at all hours of the night and day. He responds when called upon and promptly fixes what needs to be fixed. We think he's nocturnal. Anyway, I would HIGHLY recommend IT Professional Services to anyone who needs expert computer and systems oversight. They are the best we've found." 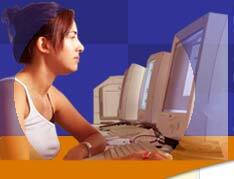 IT Professional Services, LLC (formerly Software Engineering Unlimited) of Ventura, CA was founded in 1994. We are an Information Technology (computer systems, networks, telephony) business partner providing a wide range of mission critical IT solutions and services to small and medium businesses in the central California coast. We provide service to retail, wholesale, accounting, construction, legal, medical, agricultural, non-profit, and other businesses. Our mission is to make your IT infrastructure secure, reliable, and performance well so that your business can be successful in today's marketplace. We manage your computer systems so you can manage your business. We can serve as your virtual IT department, or complement your existing technical staff, to help you solve your technology headaches and reduce operating costs. IT Professional Services understands that a successful business demands timely information to maximize communication, production and profits. The key to our approach is our understanding of your business, your needs and wants, and our “client first” philosophy. Our approach is different. "We taking an interest in how the business is doing, how they can do things better, how we can help grow the business and be more efficient" said Darryl Roberts, President of IT Professional Services, LLC. "We are very involved with our client's business. We sit in on strategy meetings, help with budget planning, and deliver educational seminars. We also getting into areas that are outside the scope of traditional IT services." Personal Service - We strive to build long-term relationships with all of our clients. Knowledge - Professionals with over 34 years of IT experience. Our engineers hold certifications from Microsoft, CompTIA, and other leading vendors. Experience - We currently provide services to many businesses like yours. This gives us a breadth and depth of knowledge that benefits you. Integrity - We stand by the work we perform, both ethically and financially. To see what IT Professional services can do for your business schedule a free consultation today.